Charcoal makers have tried to sell more charcoal by coming out with a whole bunch of high-tech charcoals. These charcoals can light themselves, burn for days, even clean your grill, but do you want burning chemicals in your food? When it comes to charcoal, simpler is better. 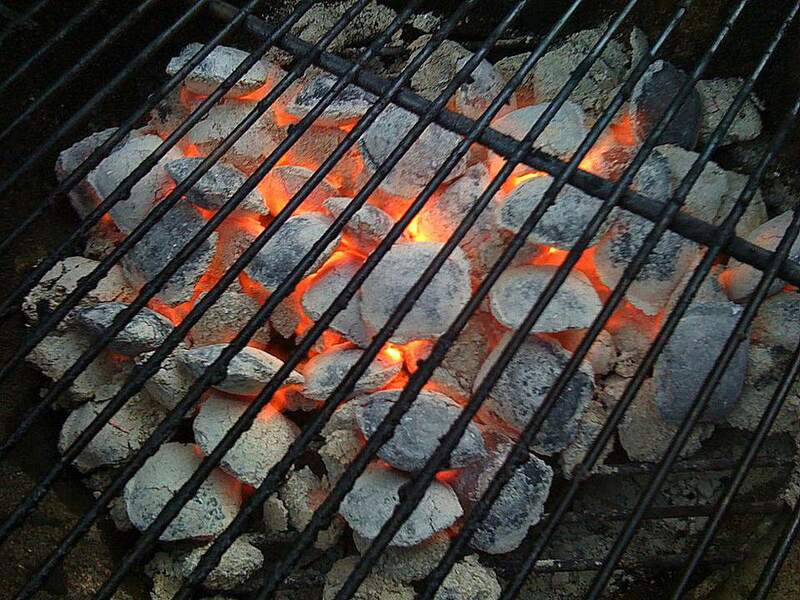 Ideally, you want pure, clean lump charcoal made from whole chunks of wood. Look for charcoal labeled all natural. However, cheap clean charcoal is also good and a lot less expensive. Avoid charcoal with additives like lighter fluid built right in. These charcoals have to burn off all the additives before they are good to cook with. A good charcoal fire produces almost no smoke. I also suggest that you not buy many of the store brand charcoals. You want a charcoal that is consistent and these charcoals can be outsourced to many companies and one bag will burn differently than the next.